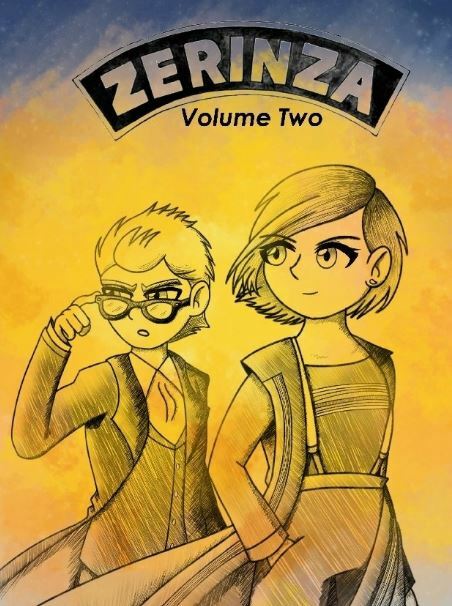 The Zerinza yearbook returns with interviews, fiction, comics and articles. From the archives you can read Nicholas Courtney discussing his career as the Brigadier and Dudley Simpson reflecting on everything from composing scores to street racing with Jon Pertwee. Go behind the scenes on Whovians with show researcher Pat Magee, then from in front of the camera with Adam Richard. Camille (Jackie Tyler) Coduri discusses the departure of Christopher Eccleston and the arrival of David Tennant, writers Jon Blum and Kate Orman talk about writing for Big Finish, and Titan artist Simon Myers discusses his covers for the Doctor Who comics range. Plus the true story of how Rosemary Howe succeeded in writing the first ever novelisation of The Daleks’ Master Plan, without access to the script or ever having seen it! And just what did happen to Katy Manning on the drive to the recent DWCA day event? This book has a plethora of content designed to entertain Doctor Who fans everywhere.